The USACC Foundation is a nonprofit operating foundation that focuses its efforts on offering educational programs and business development opportunities for individual African immigrant entrepreneurs and local African Chambers of Commerce throughout the country. As an umbrella organization for African businesses nationwide, the USACC Foundation builds partnerships, consolidates resources, and implements strategies that contribute to increasing the participation and success of African immigrants in the American economy and market and to developing an African business policy and research agenda. Currently there are 16 established or developing African Chambers of Commerce throughout the country and thousands of African businesses. 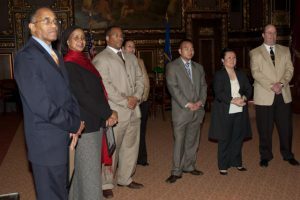 Minnesota, New York, Texas, Florida, Illinois, Washington, California, Pennsylvania, Indiana, and Kansas have well developed African Chambers and Georgia, Virginia, Massachusetts, Maryland, North Carolina, and New Jersey are working on the development of new chambers. The focus of each one depends on its location and the characteristics of the local African immigrant community. The USACC Foundation supports existing Chambers and provides technical assistance to encourage the development of new African Chambers. 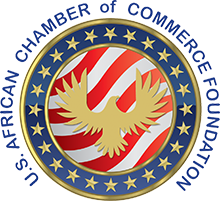 The USACC Foundation is affiliated with United States African Chamber of Commerce, the leading advocacy organization representing African businesses and promoting trade and economic development in Africa. The USACC Foundation supports and promotes the success of African entrepreneurs in the United States. New and established businesses will increase their knowledge of and access to the emerging African market and the immense purchasing power of African immigrants in the United States. African Chambers of Commerce will have increased resources for their efforts to improve and strengthen their operations. African entrepreneurs will have increased access to information and support for their business activities. African businesses and African Chambers of Commerce will expand their knowledge about trade and other economic development opportunities.